This year’s ‘Tokyo Anime Award Festival 2019’ will once again play host to the ‘Competition of “ANIMATION”‘. This is a competition to test your understanding of acting and your ability to communicate to the audience through movement (i.e., acting). Anyone can apply, so long as you have a pencil and the ability to dream up an enjoyable piece of animation. Please apply with a 50 second piece of animation made by 1 to 5 people, following the specified characters, music, and format. Submissions will be judged by leading animators and other personnel from the professional Japanese animation industry, and review meetings will be held throughout TAAF2019. Anyone can apply, whether professional, amateur or student, and regardless of age or nationality. * Group applications must not exceed 5 people per group. * Applications as a school are also permitted. Please produce an animation on the theme of “Painful Memories” , divided into 5 blocks of 10 seconds each, for a total of 50 seconds. Think back to when you were the same age as the boy/girl detailed in the following design. Everyone might has a painful memory from when they were young, whether from a tumble, a fall, or from touching something they shouldn’t have. Try to think about “Why did I fall over?” “How did I fall over?”, and so on, and communicate a story to your viewers through acting. You will be judged on how well you managed to express something to your audience through moving your characters (acting). * Please express yourself only through your character’s movements, without using symbols or text. At first, make your own body move as you become the boy or girl! I’m sure you can discover something to express. Don’t just sit there thinking about it! Please use the following two characters: Boy, Girl. Both characters do not have to appear in the same scene. Please use the following 4 pieces of music to fit your animation. Each piece is 9 seconds long. No other music can be used. A background is not required. Please decide yourself whether it is necessary for what you are trying to express. * You will be judged firstly on the expressiveness of your movement. The beauty of your animation will be a secondary concern. Group applications must not exceed 5 people per group. *Applications as a school are also permitted. Collect 5 blocks into a single work. Each block must be exactly 10 seconds long. Each block may be related or unrelated. The personalities of appearing characters must be consistent between blocks. I think you should incorporate a single incident per block! * Since each music clip is 9 seconds long, there may be silences between each block. * Please combine your 5 blocks to create a single work. * Please ensure each block is exactly 10 seconds long. * i.e. you may not make a given block 9 seconds long, and the next block 11 seconds long. Please attach a 0.5 second long opening to the beginning of your animation. Please attach a 0.5 second long ending to the end of your animation. 1. An ending mark. * The nature of the mark does not matter, so long as it is clear that it denotes the end. Submitted works must be 51 seconds long: “a 0.5 second opening”, “the main animation consisting of 5 blocks of 10 seconds”, and “a 0.5 second ending”. Please observe the following format. Please submit your animation as follows. Click on “Application Form” below and register to submit. You will receive an email, which you can use to log in and submit your animation. * If you apply as a school, the prize will be awarded to the school. * The Grand Prize and Award of Excellence winners will be given certificates as proof of their success. * It is possible that no works will qualify for awards. Judges will be Japanese animation industry professionals such as animators and producers. All submissions will be screened and evaluated by judges, and all winners will be announced, over the course of ‘Tokyo Anime Award festival 2019′. 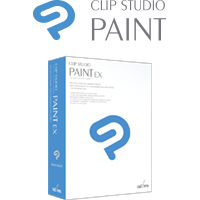 A limited-time license for Clip Studio Paint EX, an animation software used by professional animators, is available for contest applicants. Please use it to create your submission. Answer the survey below to receive your free copy!